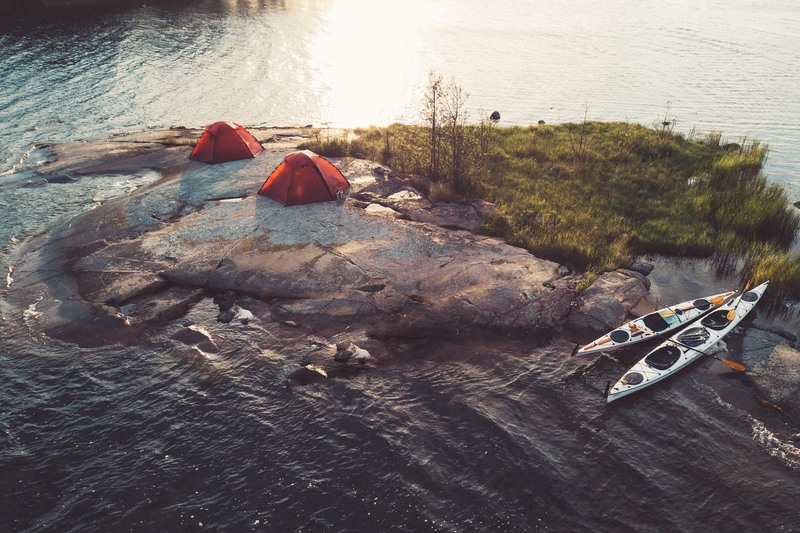 Kayak Sweden – Do the North –Scandinavian Outdoors Adventures! Easy access to a remote coastal landscape with every practical aspect taken care of. Six thousand islands in a maze – always a route that’s never been paddled before. Unique ecotourism holidays you can’t find anywhere else. 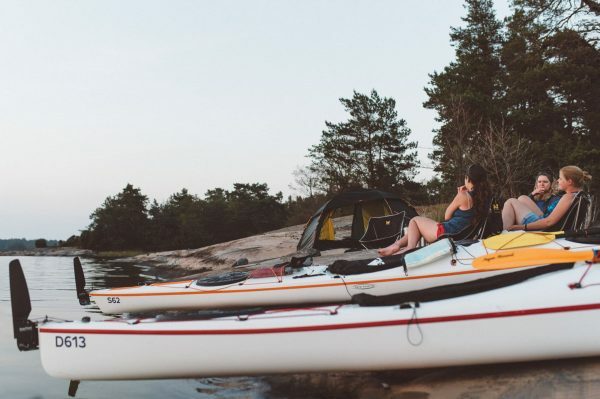 We equip you with knowledge, gear and gusto for a truly wild kayaking experience. Cover vast areas of the archipelagos with lots of time to explore. Wild camping is permitted anywhere! Five to eight days of pure freedom. Join like-minded adventurers for an amazing exploration of Saint Anna & Gryt. 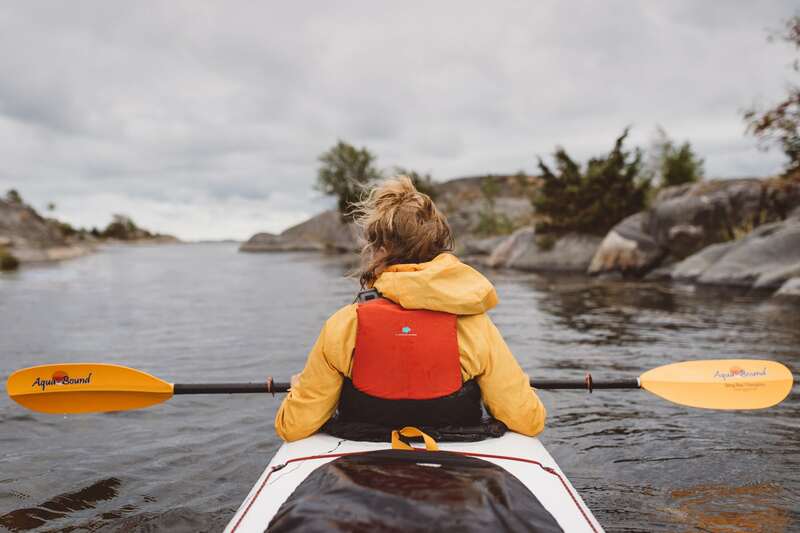 Lots of exciting outer archipelago paddling and chances to spot wildlife! Experience the islands of Saint Anna on a long weekend. Designed to maximise time spent on the water for holidayers with a li’l less time to spare. Lead by some seriously badass adventure ladies! 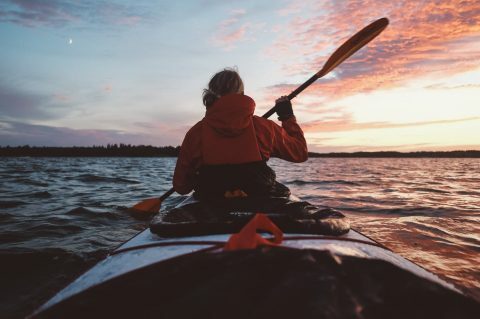 Join our very special guest guide Linda Staaf and partner for an off the charts all ladies kayaking expedition. 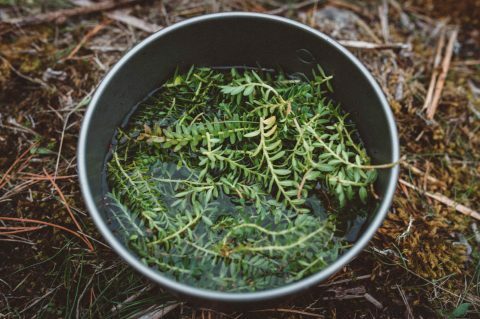 A very unique and delicious tour for foodies who can’t wait to dive head first into wild cooking techniques, local ingredients and foraging. Fascinating bird & seal watching expedition in the outer archipelago! 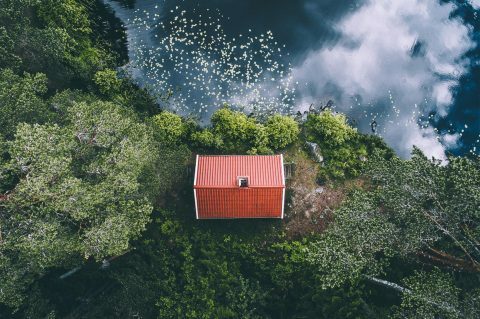 Collab with Wild Sweden – the self-proclaimed ambassador for Swedish wildlife. 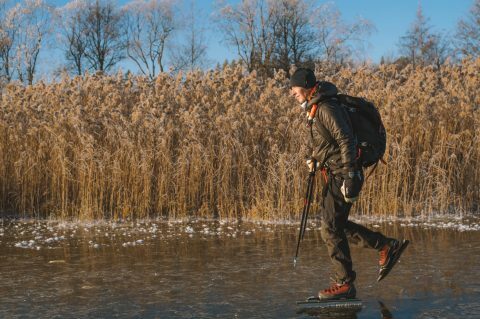 Skating tours on the many frozen lakes northwest of Stockholm – the sense of freedom and space is indescribable, even the noises are exhilarating! An extraordinary opportunity to learn from renowned nature photographer Tobias Hägg! Late summer workshop by kayak with emphasis on drone photography. I would definitely do this again. It was the most beautiful and funnest holiday ever. It was perfect for recharging our batteries. The equipment was just awesome and I will definitely buy some of what we used for myself. I was so sad after the 5 days that the Kayak time was over. See you guys next year! This place is truly amazing. The guide book given is so well written, we knew which points we wanted to visit (all but 1!) and each area was breathtaking in its own way. We didn’t see anyone for days and beyond this, people were few and far between. We switched our phones off and relied on the sea map and compass to get us through - a truly wild experience. Rating 11/10. 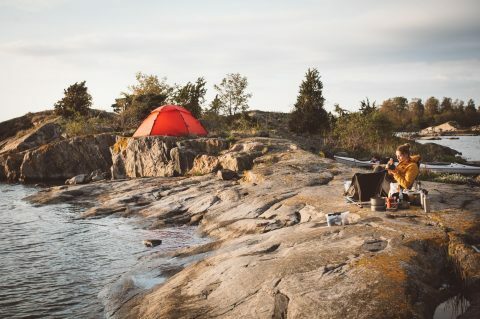 We had a great time in Sweden and enjoyed the silence, the water, the rocks, the islands, the birds, the sunsets... Perfect equipment, as already said and written multiple times, excellent support and planning that makes this adventure something everyone can do. Highly recommended! I cannot recommend this experience enough! I had an incredible time in the archipelago kayaking, swimming, camping, exploring and meeting a load of great new people. Out in the islands you feel truly in the wild. The staff and guides were incredibly knowledgeable and the islands are outstanding. Had an amazing experience kayaking the archipelago with Do The North. The team was so friendly and fun. Very organised and helpful. The whole process is stress free. I would recommend this to anyone. The archipelago is unforgettable. The equipment was all top quality, from the kayaks to the camping gear. Spectacular scenery with a wealth of sites and islands to explore including some unique birdlife. There are also a couple of villages (notably Harstena) that offer the chance to experience life in a more populated area which is awesome fun. The Do The North team were absolutely first class. All lovely with lots of passion for St Anna! Echoing the sentiments of all the previous reviews, this is a truly unforgettable experience. 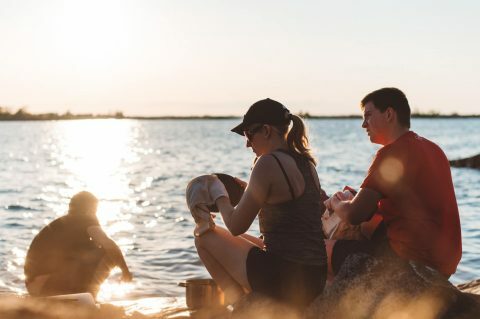 Thomas, Helena and the team give you the opportunity to get away from it all in a truly breathtaking location, and make the entire process as easy and stress free as possible. The Sankt Anna and Gryt Archipelagos are stunning. The pictures you’ve been looking at don’t do them justice. Thousands of pristine islands are your playground for a week. Thousands of years ago, the thick heavy ice sheet of the last ice age melted away, revealing a stunning glacier landscape of smooth islands and unusual rock formations in the Baltic sea. Amazingly, the land is still rising to this day.